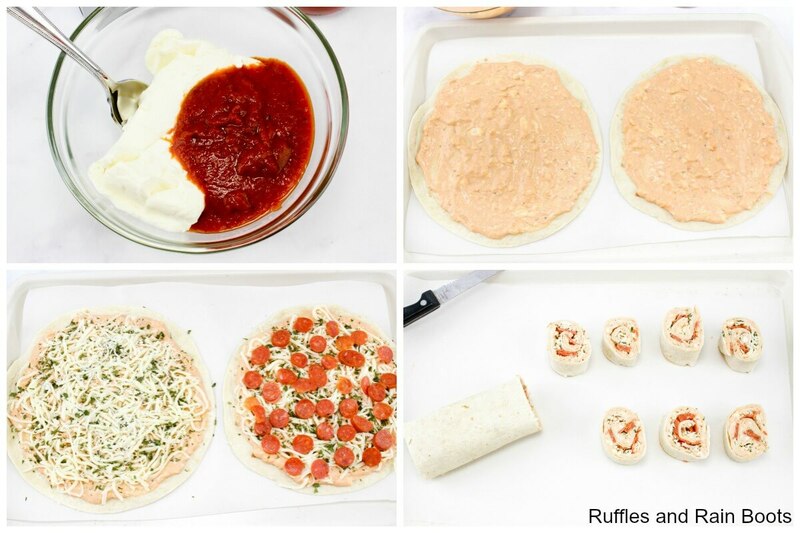 These pizza pinwheels are as fun to make as they are to eat. Whether for a back to school lunch idea or a weeknight dinner, these pinwheel sandwiches are easy! 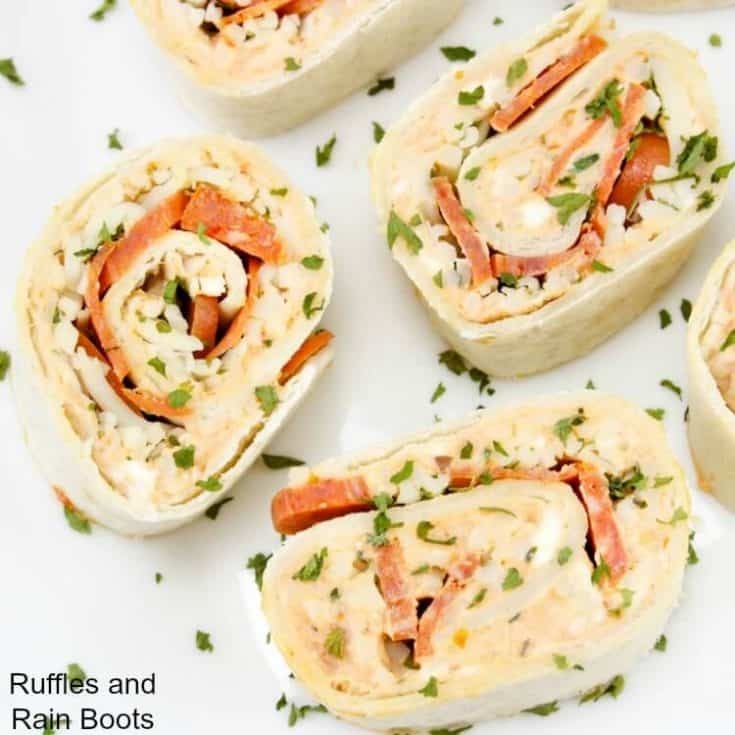 We are all about easy food here on Ruffles and Rain Boots. 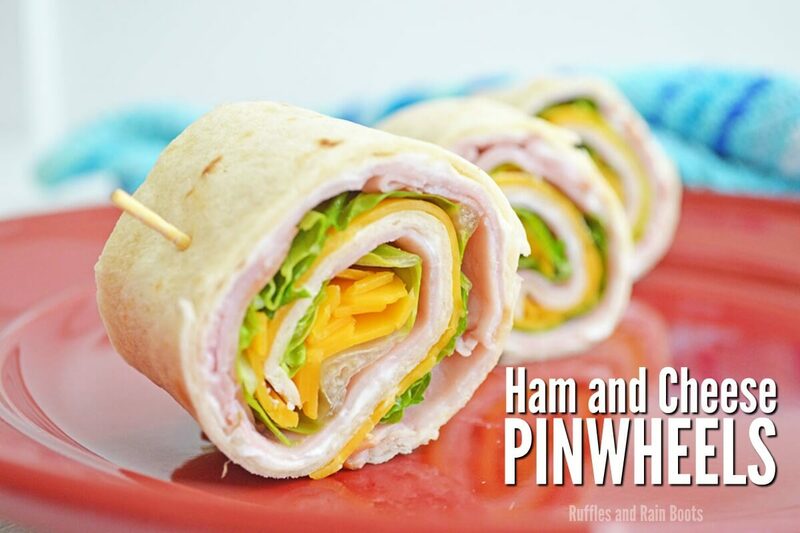 Kids and adults both love fun food, and pinwheel sandwiches, pinwheel appetizers, and basically, anything wrapped to look like a pinwheel qualifies! In addition to these fun pizza pinwheels, we’ve also shared a family-favorite: ham and cheese pinwheels. They are so much fun to make and the kids love getting involved. 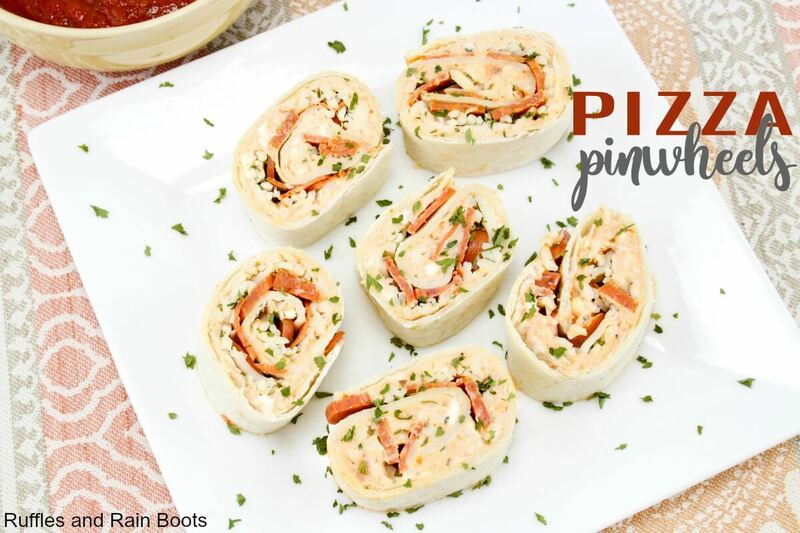 But we are making a fun way to serve pizza with these pepperoni pinwheels and cheese pizza pinwheels. How much fun are these?! This is an easy-peasy, lemon-squeezy kind of recipe, friends. 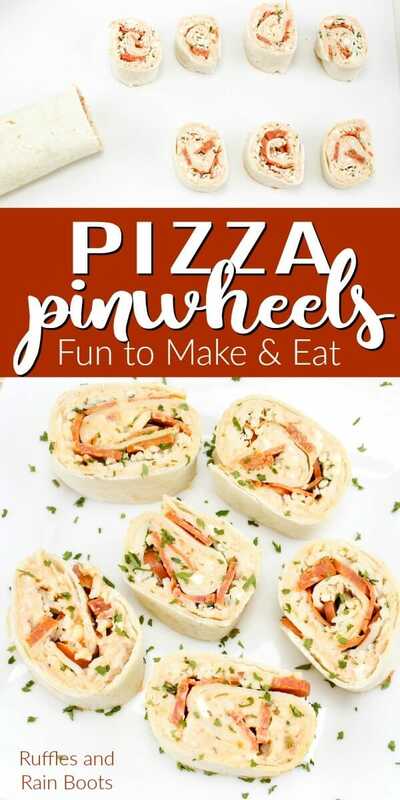 Get the kids in the kitchen and let them help with these fun pinwheel pizzas. Note: you can bake them for a few minutes before rolling, just enough to melt the cheese slightly. If you do this, remove the flat pizzas, roll tightly in a clean dish towel, and leave until they cool a bit. Then slice and serve. 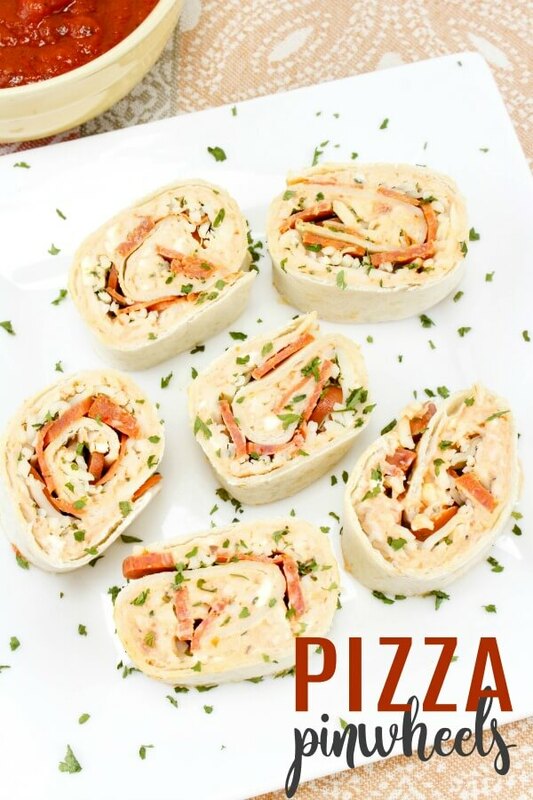 Don't miss out on these pizza pinwheels! In a small bowl, mix the cream cheese and pizza sauce together. Have a taste. It’s good. Spread a thin layer of the mixture over each tortilla. Sprinkle cheese, then parsley on each tortilla. Gently roll each tortilla, trying to get it pretty tightly rolled. Cut each tortilla roll into pieces about 1-2 inches wide. Serve lying down on their side (to see the fun pinwheel pattern) with a size of pizza sauce for dipping. Are you a fan of pinwheel sandwiches or pinwheel appetizers? I am! 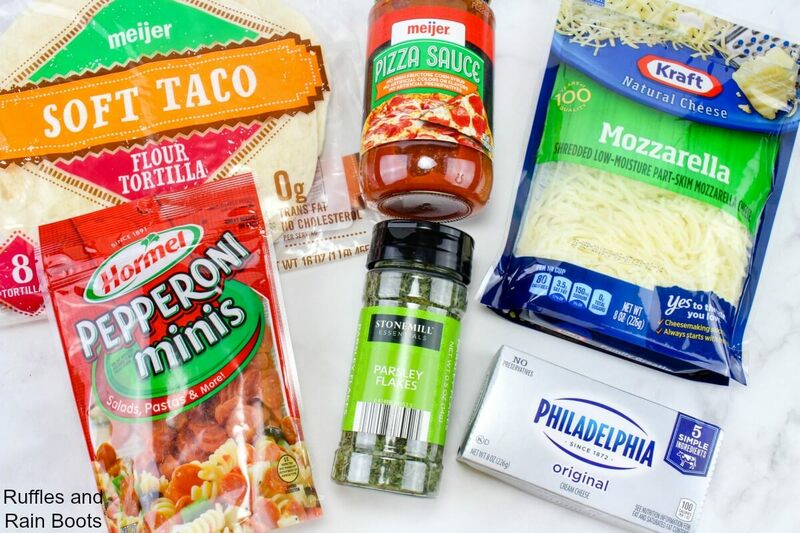 They are so easy and fun to make – these pizza pinwheels are no exception! 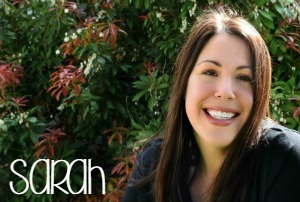 This looks great and easy. What size tortillas did you use? Thanks, Dennis – we make them all the time and they are very easy. We use the soft taco size, so a normal-sized flour tortilla (not the big burrito ones) because they’re for the kiddo (she’s 7), but if you have a party, making them with the larger tortillas will work (they’ll just need a bit more of the ingredients – likely double).